Security threats are growing more persistent and difficult to detect every day thanks to new attack techniques, increased financial support, and the ease of exploiting social connections. In order to combat these attacks, enterprises need to adopt a platform capable of spotting subtle anomalies and hidden relationships within vast amounts of security data. 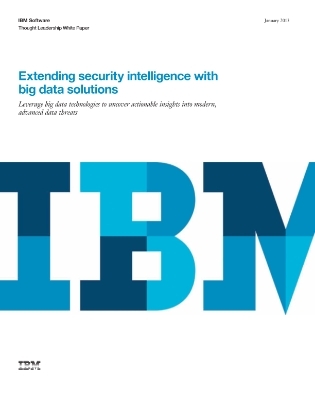 This white paper introduces a security solution that applies big data capabilities to help organizations to keep pace with today’s advanced threats and prevent attacks before they happen. Read on to learn more about this comprehensive security intelligence platform that detects and prioritises threats in real time.